Item #SS-1398: Set of four Cloisonne 2" round 1" wide napkin rings in various designs and colors. 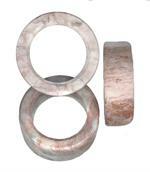 Item #NR-10: 2 1/4" in diameter; 5/8" wide; 12 assorted Natural Onyx colors. 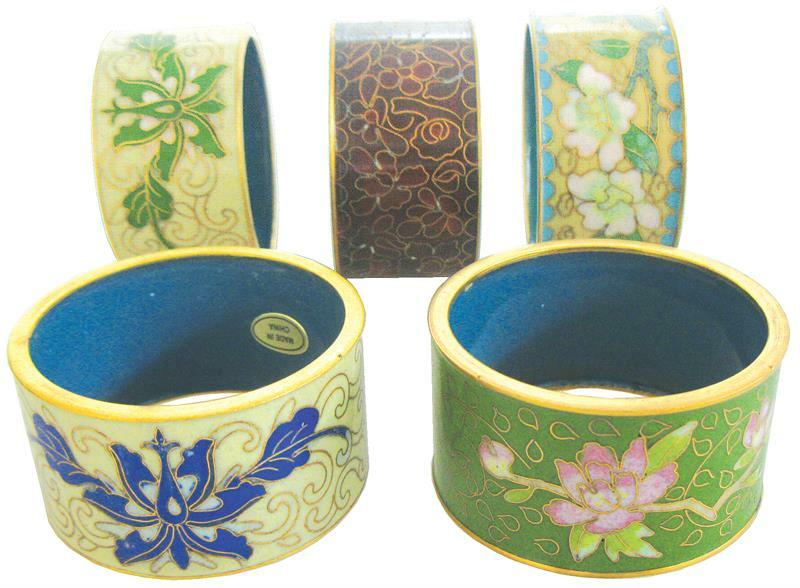 Item #NR-10: Diameter: 2 1/4"; Width: 5/8"; Assorted Natural Onyx colors.